Sticking It In Their Ear | The Better Plan . . Early in Glasser’s career he emphasized the idea of being responsible. 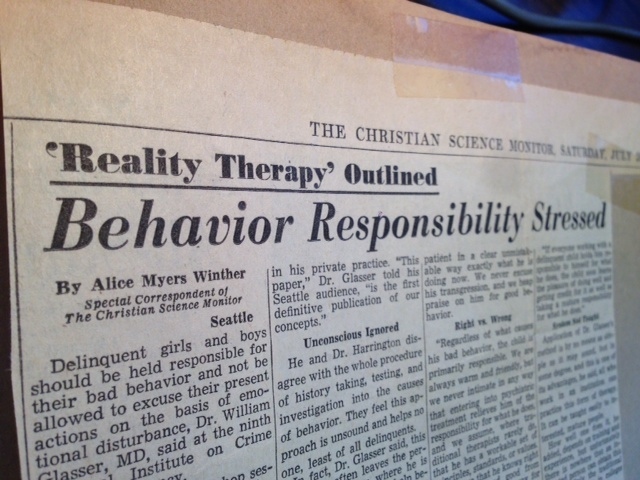 Reality Therapy (1965) echoed this theme a lot. Taken as part of the overall elements of reality therapy – elements like involvement, no punishment, and never give up – responsibility could be kept in perspective. However, Glasser soon discovered that teachers were taking the idea of responsibility and using it as a hammer to whip kids into shape. Seeing that people were misusing the idea he began to pull back from it. Early on he was also known as an expert on classroom discipline and his “get tough” approach was advertised in national magazines. He let this happen for a while, but realized that such a message didn’t accurately capture what he was trying to do. Once again, he began to pull back from what people thought he was saying. I thought about this during our recent Choice Theory Study Group as we focused on the concept of total behavior. Key pieces of total behavior include that 1) all behavior is purposeful and that 2) all behavior is made up of four parts – thinking, acting, feeling, and physiology. A key piece of total behavior is that two of the four parts – our thinking and our acting – are under our direct control. And this is where a potential problem lurks. In the same way that teachers back in the 60s and 70s misunderstood and misapplied the idea of responsibility as Glasser intended, teachers today might be tempted to tell students that they are responsible for their own thinking and acting. If something is under our direct control, like how we act, then it may seem reasonable to emphasize this to students, even to bombard them with it. This is the thing, though. Gaining insight into total behavior and understanding how it applies to you personally doesn’t come from someone else telling you about it, especially during a tense moment when they may be telling you to get your act together. Such insight comes from being gently led toward the concept and being asked the right questions at the right moments. As teachers and parents this can be our goal, too. 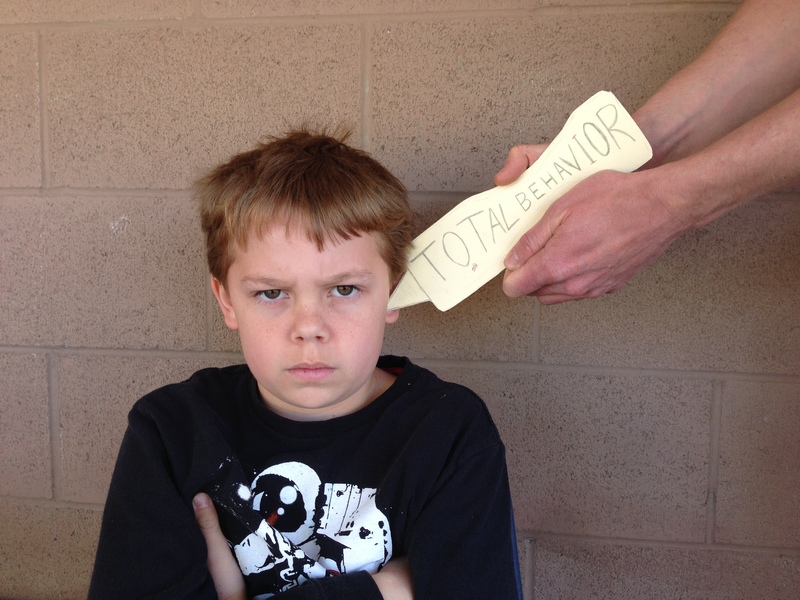 Total behavior is correct, in my opinion, and our having direct control over our thinking and behavior is correct, too. Helping our children and students realize that, without damaging our relationship with them, is our challenge. Somehow we need to help them talk about what the idea of total behavior means to them, rather than just sticking the concept in one of their ears. Great picture! 🙂 It is really true that it is easy to believe in and hard to do. I’m glad to know other people feel that way too. Want Better Answers, Ask Better Questions | The Better Plan . .
Can Children Really Handle Choice Theory? | The Better Plan . .